Cisco’s Catalyst 3850 series switches focus on delivering enterprise-class stackable Ethernet and multi-gigabit Ethernet access with an aggregation layer. This provides support between wired and wireless networks on a single platform. You’ll also be able to improve your network and add intelligent support and control by selecting used Cisco C3850 switches that provide wireless tunnel termination and wireless LAN controller capabilities. 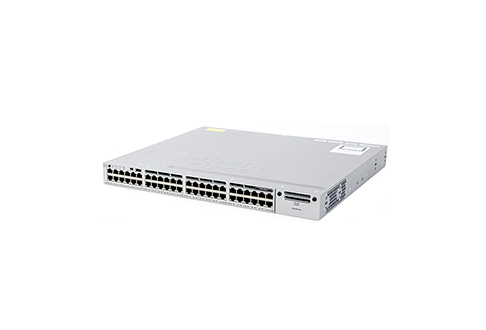 When you select a used Cisco C3850 switch from Worldwide Supply, you’ll save up to 70% off the original OEM pricing. You’ll also get access to Cisco’s premium capabilities and services. Don’t forget to ask about Small Form-Factor Pluggable (SFP) fiber switch model options for support for either stacked or standalone configurations. Used Cisco C3850 series switches provide your network with an opportunity to expand as you need without major investment. You’ll also have the ability to move traffic as your core networking equipment is maintained, repaired or replaced. Get the best-in-class service, support and capabilities that Cisco is known for — with best-in-class savings — when you buy used or refurbished products at Worldwide Supply. When it’s time to upgrade your network, turn to Worldwide Supply as your partner. We have the largest inventory of used and refurbished equipment in the industry. Need to sell your excess routers or switches? Let one of Worldwide Supply’s experienced asset recovery professionals help ensure you receive the maximum value for your equipment. Contact us online or by phone at 888.328.2266 to learn more!